There they are! Netflix released the trailer for Homecoming: A Film by Beyoncé on Monday, April 8, and gave a rare glimpse of her twins, Sir and Rumi. In the first pic, the “Formation” singer, 37, held her baby boy close and kissed the side of his face. She smiled down at her daughter in the next shot. 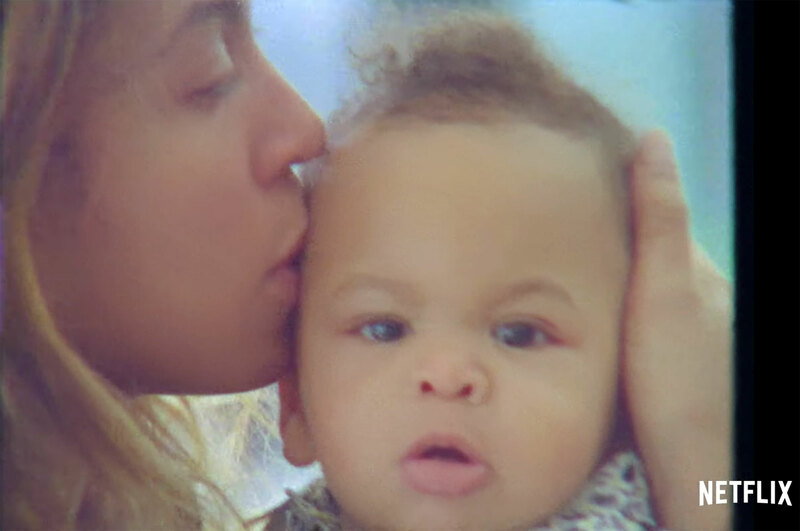 Sir and Rumi, 22 months, weren’t the only babies in Beyoncé’s brood to appear in her trailer. Their 7-year-old sister, Blue Ivy, sat in a chair and danced with her mom in a few seconds of black-and-white footage. Queen Bey and her husband, Jay-Z, tied the knot in 2008 and started growing their family four years later. Blue arrived in 2012, followed by Sir and Rumi in 2017. Us broke the news that the 23-time Grammy winner was working with Netflix on a documentary. An insider told Us exclusively on Wednesday, April 3, that the film “will be tied to her Coachella 2018 performance” with additional footage. Another source told Us that the Lion King voice actress is working on a second exciting project. “[She has recorded] a couple of new tracks [for] a deluxe album filled with old songs,” the insider said.